On August 25, 1916, President Woodrow Wilson signed into law a bill creating the National Park Service (NPS), which was designed "to conserve the scenery and the natural and historic objects and wildlife therein, and to provide for the enjoyment of the same in such manner and by such means as will leave them unimpaired for the enjoyment of future generations." Today, 100 years later, over 400 parks, battlefields, seashores and monuments, as well dozens of cultural and historic sites, covering more than 84 million acres, fall under the jurisdiction of the NPS. The sites range in size from the 13.2 million acres that encompass the Wrangell-St. Elias National Park and Preserve in Alaska to the Thaddeus Kosciuszko National Memorial, which rests on just .02 acres of land in downtown Philadelphia. The NPS also manages 59 major national parks including Yellowstone, Yosemite and Grand Canyon National Park. 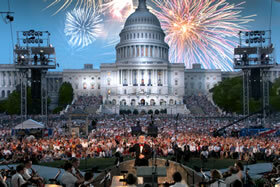 Over 300 million people – Americans and foreign tourists – visit these sites each year. On August 25, 2016, the NPS celebrates its centennial, and park attendance is only expected to increase. 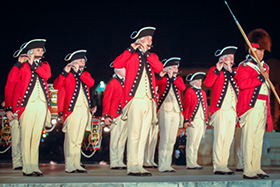 To commemorate the anniversary, and facilitate the influx of visitors, the NPS will engage communities through a variety of recreation, conservation and historic preservation programs. 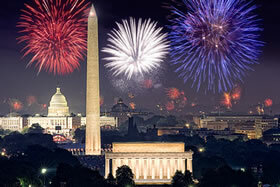 The NPS has encouraged park visitors in 2016 to share park experiences and memories online at FindYourPark.com and EncuentraTuParque.com, which “feature interactive galleries of inspirational stories from the general public, National Park Service employees and celebrities.” The site also includes a searchable list of centennial events transpiring across the country and in-park experiences for visitors who want to learn about activities they can do at their park. By using the hashtags #FindYourPark and #EncuentraTuParque park-goers can share their park adventures on various forms of social media. 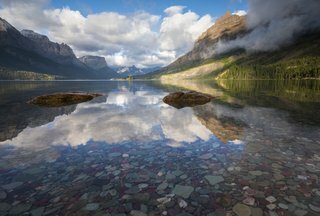 If you can't visit in person, another way to experience our national parks is to watch the giant-screen film "National Park Adventure," by MacGillivray Freeman Films and Brand USA. Learn more about the film, and where it's playing, by visiting their website. 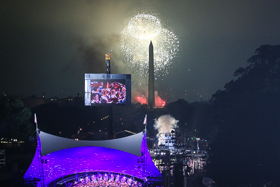 For over 35 years, The NPS has graciously hosted A Capitol Fourth at our park, the National Mall and Memorial Parks, which includes the lawns between the U.S. Capitol and the Lincoln Memorial. 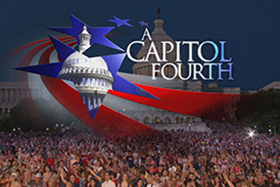 Each year, upwards of 700,000 people converge on the National Mall to watch A Capitol Fourth and the accompanying fireworks. Our History of the National Mall offers fascinating insight into this Washington, D.C. landmark. 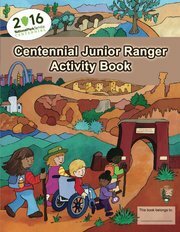 Children who are interested in learning more about the NPS, and about the NPS Centennial, can download the Centennial Junior Ranger Activity Book. 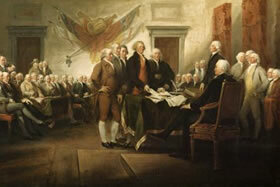 It includes fun facts, information about conservation, games, color photos and more! Learn more about the book by visiting https://www.nps.gov/kids/features/2016/JrRangerCentennialBooklet.cfm. DID YOU KNOW that NPS rangers wear their notable uniforms – greens and grays complete with their iconic flat-brimmed hat – in order to stand out in large crowds of people? 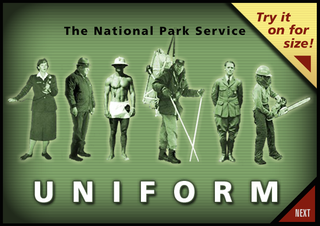 Watch a short interactive video about the famous ranger uniform.